With so much to see and do in the region, it’s hard to pick just a few places to spend a single day in St Kilda. Luckily, we’re full of suggestions and have put together an ideal St Kilda day for those who are after a taste of everything. Start the day off right at bakery-cross-brunchery, Il Fornaio. Dressed in retro neon lights, this Acland Street spot is buzzing on a Sunday morning thanks to its top-notch menu and famous baked goodies, made fresh on site. 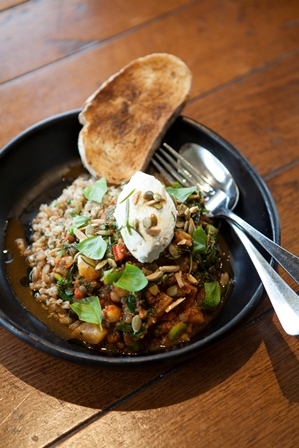 Fuel up for a big day in St Kilda with the bircher muesli and a super smoothie, or pop in for a quick take-away pastry. A short walk down Acland will take you to Linden New Art where you can spend a morning experiencing the region’s best in contemporary art. Housed in a beautiful Victorian mansion, the gallery hosts a number of changing exhibitions as well as artist meet-and-greets, special ‘Crafternoons’ and plenty for the kids to do on school holidays. If you’re around at the right time, you might even be able to check out Linden New Art’s famous Postcard Show. food. After having recovered from a devastating fire in 2014, the restaurant is back and better than ever, still with its famous St Kilda charm. After you’ve filled up, it’s time to take on a truly quintessential St Kilda experience. Step through the famous Big Mouth and feast your eyes on all the thrills and excitement of the historic and iconic Luna Park. Be sure to take a trip on the scenic railroad or, if you’re feeling brave, defy gravity on the Pharaoh’s Curse. Before winding down for the evening, move on to the beach where the action always is. Soak up the scenery, have a drink at one of the area’s top chill-out spots or challenge yourself to some water sports if the sun is shining. Come dinner time, you’re in for a treat. Miss Fitzy’s is a new Fitzroy Street favourite serving French cuisine with a unique Spanish influence. The restaurant and bar specialises in tapas and share plates, making tonight the perfect time for an impromptu meal with friends. Try some seafood or pork belly for an entrée, lamb or papardelle putanesca for a main and the crème brulee for dessert. 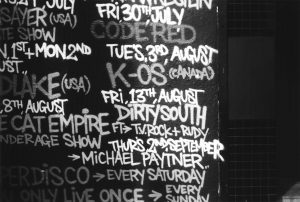 Live music is a must-have experience for anyone spending a night in St Kilda, so finish of the evening with a bang at the Prince Bandroom. 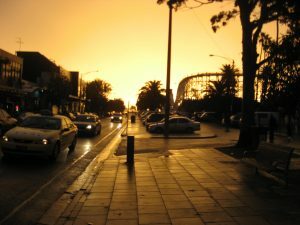 A major player in St Kilda’s famous music scene and an icon of Fitzroy Street, the venue has hosted Australian and international acts for over six decades. Check the website to see who’s in town. You’ll need a whole day and preferably more to experience the charm and excitement of St Kilda. 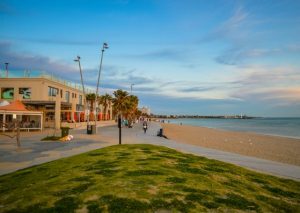 Whether you’re into art, sport, food, entertainment or simply a bit of R&R, St Kilda is definitely the place to be by the sea.